The Selmer Paris Series III tenor is the gold standard in classical saxophones. Its sound is superbly crafted and its ergonomics have been duplicated the world over. The Series III soprano, alto, tenor and baritone saxophones epitomize speed. 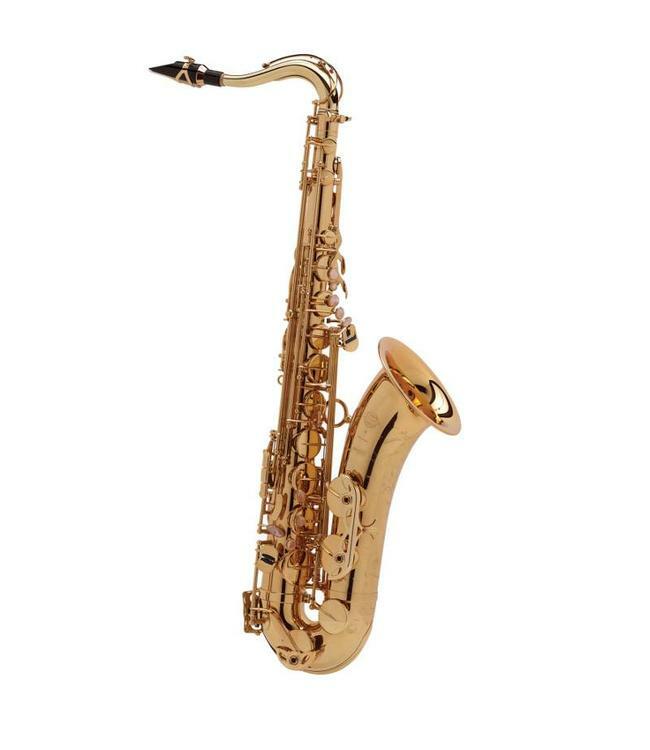 Lightning-quick response and flawless ergonomics make these saxophones move; allowing you to perform at the speeds you need in these hyper-fast times. Instead of traditional brass, these saxophones are built on a platform with a slightly higher copper content-creating a rich warm tone that is automatic from the first breath into the instrument. Acoustics: Series III body style-full sound, Necks: Series III bore, Construction: mini ribs, Body material: yellow brass with extra copper, Mouthpiece: S-80 C*, Mechanism: compact key positioning - closer to the body and directly under the hand, Range: high F# key, Front F key: spatula, Left-hand thumb rest: metal, Right-hand thumb rest: metal adjustable, Adjusting screws: high F, G# key, F#/G# lug, F#/G#, adjusting bar, low C#, low B, side C, side Bb, Pivot screws: tapered, Needle springs: blued steel, Pads: treated leather with metal resonators, C# vent to keep C# in tune, Hand-engraved bell, BAM case with case cover.